To that end, they say international academies of sciences must “quickly” convene experts and stakeholders to create an “expedited report” that spells out criteria and standards for so-called germline editing, DNA modifications to embryos, eggs, or sperm that can be passed on to subsequent generations. Such international standards would complement the national regulations in each country, the authors hope, and would make it less likely that researchers could “seek out convenient locales for conducting dangerous and unethical experimentation.” The authors further call for “an international mechanism”—perhaps an ongoing forum—that scientists could turn to if they had concerns about research that didn’t conform to the agreed on criteria and standards for germline editing. NAM and NAS have offered to lead the proposed effort. A key challenge for the writers of the expedited report is to put a finer point on one of several widely accepted criteria that many contend He violated: Germline editing must address an “unmet” medical need. “The medical, scientific, and ethical communities need to step up and say let’s make a much better definition,” of what that phrase means, says Dzau, who stresses that he wants to see this human gene editing move forward. Although Human Genome Editing , a report jointly published by NAM and NAS in 2017, did offer examples of unmet medical needs that might justify germline editing, Dzau says more detailed guidelines are needed. 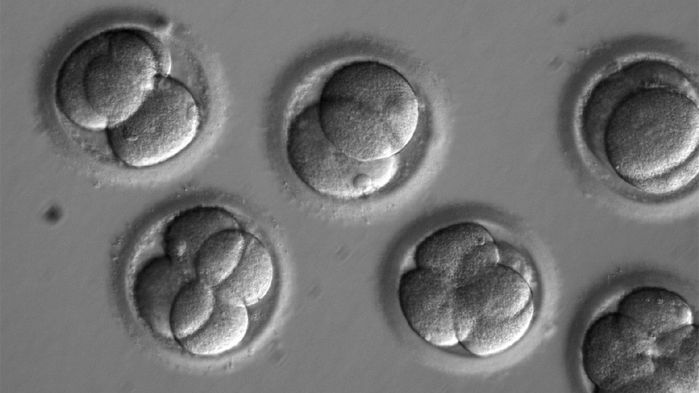 Shoukhrat Mitalipov, whose lab at Oregon Health & Science University in Portland published a Nature paper that reported using CRISPR in nonimplanted human embryos to fix a heart gene mutation, says scientific advances will determine the timeline for moving forward. “At this point, it’s not a clear path,” Mitalipov says.